There’s nothing we love more than a little bit of relaxation. Whether your job is getting on top of you, your kids are driving you crazy, your husband is getting on your last nerve or you just need a little bit of me-time, a spa holiday is one of the best ideas to relieve your stresses and take a break. So if you’ve booked a spa break, or are yet to decide and need a bit of persuading, check out these 5 things to do on a spa holiday. If you really want to relieve your body of all the built-up tension, then a massage is the way to go. Many people are put off the idea of a massage as they don’t like the idea of getting undressed – but don’t worry! The whole ordeal is kept completely professional, and your body will always be covered up. If you ever do get uncomfortable, just let the masseuse know, and they shall do everything they can to make you feel as comfortable as possible. 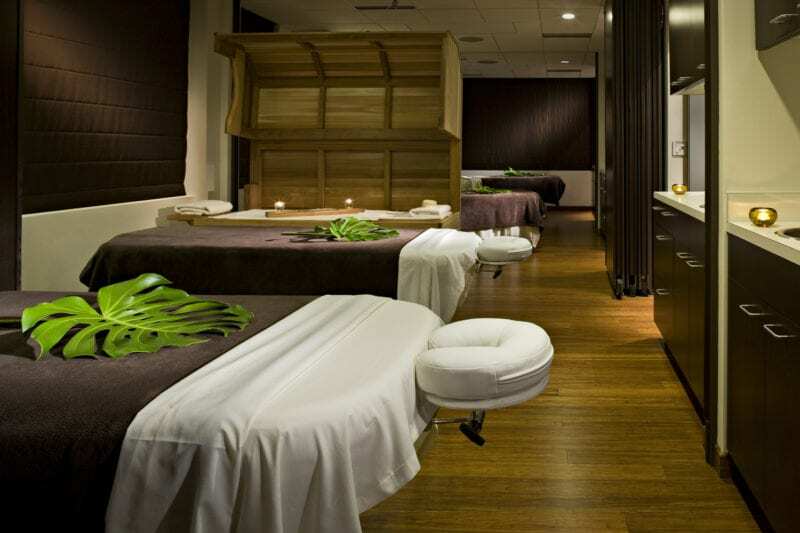 Trust us; you won’t regret having a massage on your spa holiday. All good spas will come equipped with a swimming pool, steam room, sauna and maybe even a jacuzzi for you to spend as much or as little time in as you want. 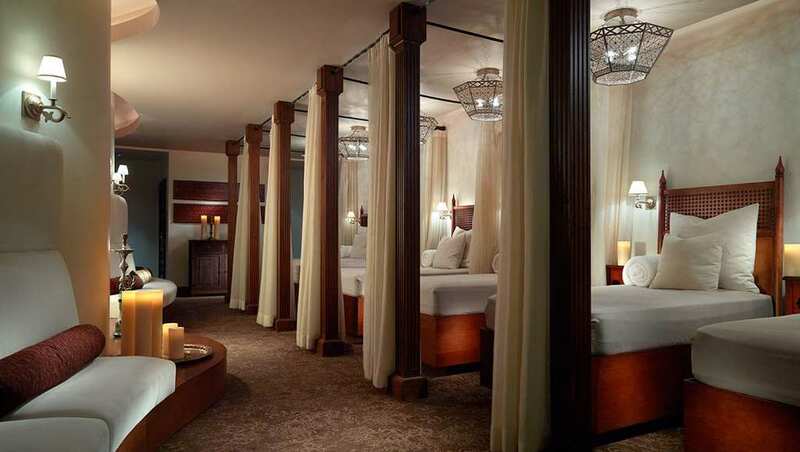 These rooms are always kept to the relaxing standards of the spa, with tranquil music, perfect water temperatures, and mood lighting. You also won’t have to worry about someone kicking and spluttering next to you in the water. 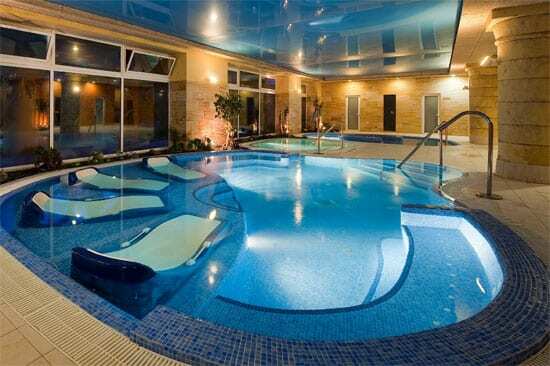 As swimming releases endorphins, you’ll leave feeling happy and refreshed. Win-win. As well as giving you relaxing spa goodies, most spas also offer you pamper treatments, such as manicures, pedicures and facials. Some even offer some weird and wacky options like Seaweed Wraps (no, it’s not for lunch) or mud baths! These often come included within the price (or for a small, extra cost), and you normally can choose at least one of them to enjoy; the perfect little extra to your holiday. There’s nothing better than climbing out of the hot tub, wrapping a robe around you, slipping on some comfy slippers, heading out onto the spa terrace and having a spot of Afternoon Tea. This doesn’t necessarily mean you have to have a cup of tea (although you can if you want!). Many spas offer champagne with their service and will give you trays of sandwiches, cakes, and biscuits to enjoy. Yum! Okay, so this one might not be for everyone, but (apparently) some people enjoy going to the gym! Many spas also offer free gym use within their spa days or holidays, meaning you can use the facilities however much you want. And you might need it after eating all that cake.